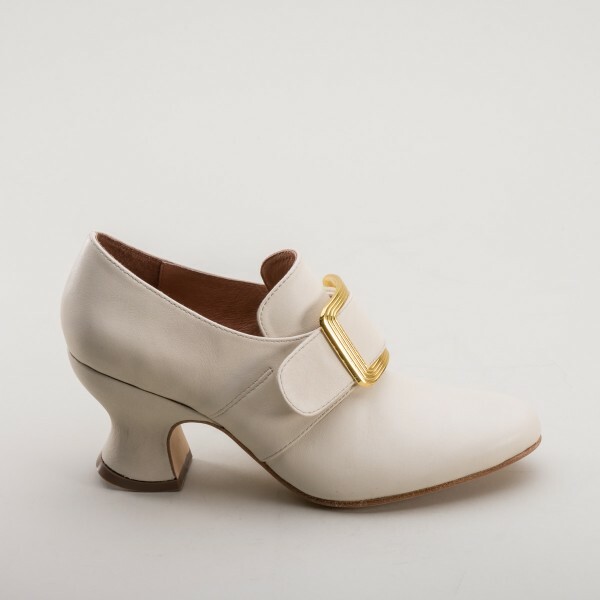 Garrick Theatrical 18th Century Shoes offer all the styling of reproduction 18th century shoes but in a fabulous quick-change design. 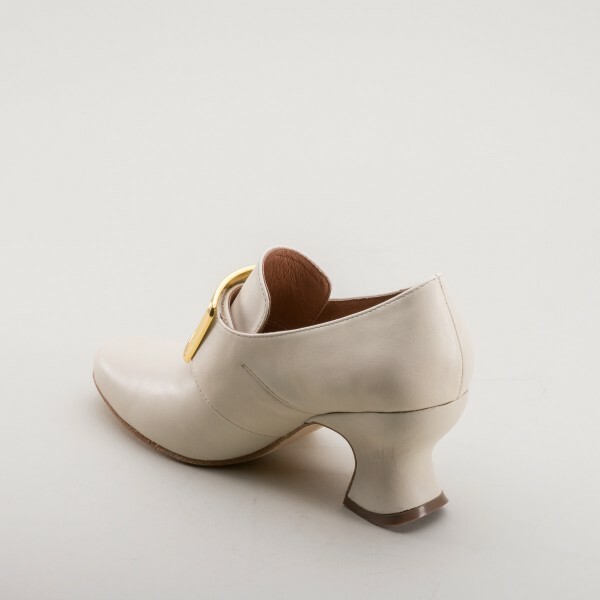 From the outside, Garricks are nearly indistinguishable for any of our other reproduction 18th century shoes. 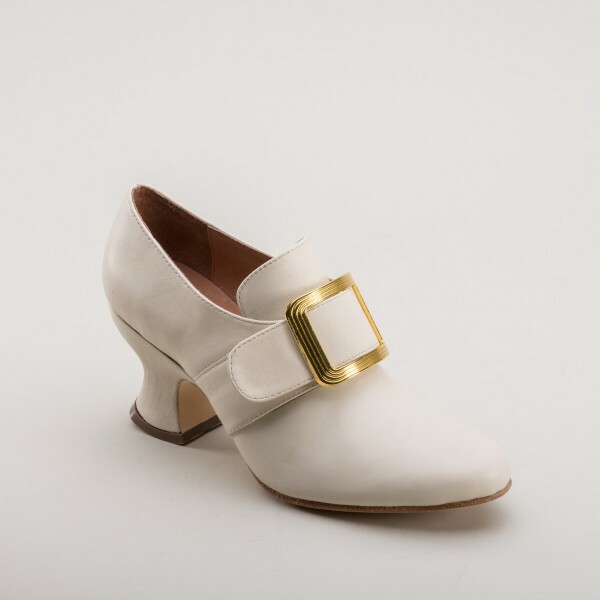 On the inside, though, these wonderfully quick-rigged, accessible Georgian shoes have hidden elastic insets, velcro straps, and slide-on faux buckles. 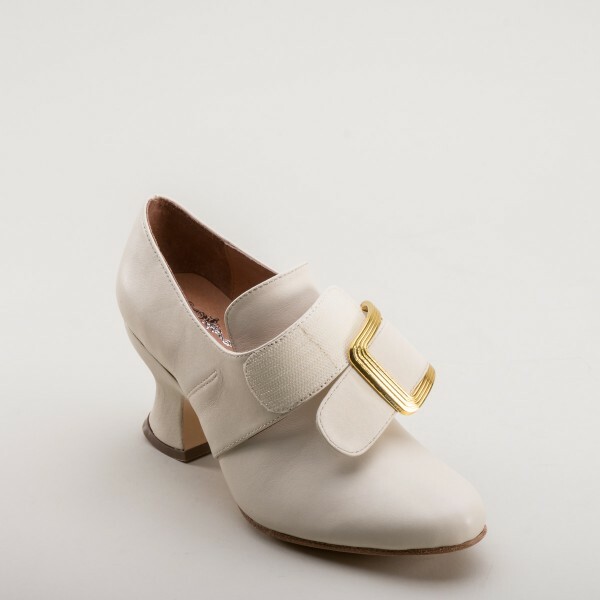 The Garricks are made in top-grade dyeable ivory calf leather with leather lining. 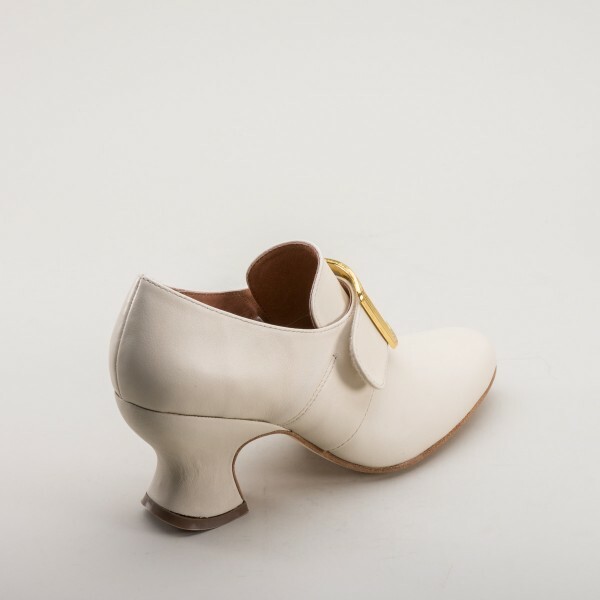 The soling is an unsealed, slightly-sueded leather with short shanks allowing for flexibility in dance. 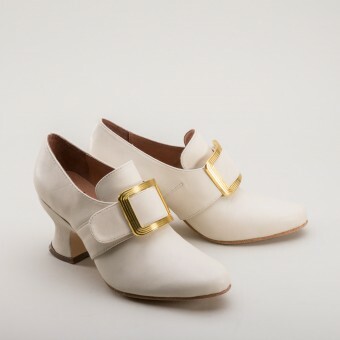 Rising on our 2.5 inch French heels, the Garricks are excellent for late 17th century through the 18th century and are instantly indentifyable as Baroque and Georgian era footwear. 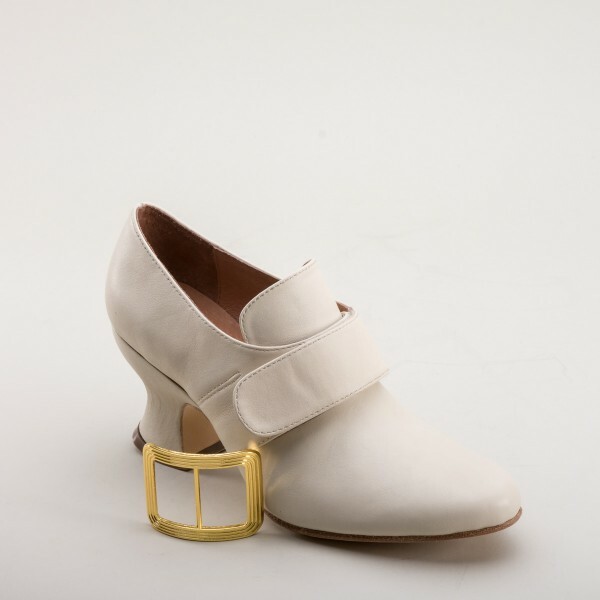 The Garricks comes ready to wear with gold faux buckles. 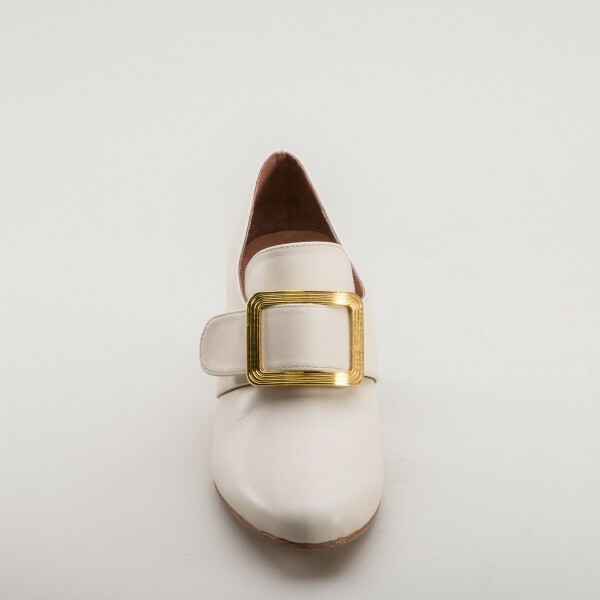 The ivory leather can be dyed, painted, and decorated. *The soles on Garrick 18th Century Shoes are an unsealed, slightly sueded leather. 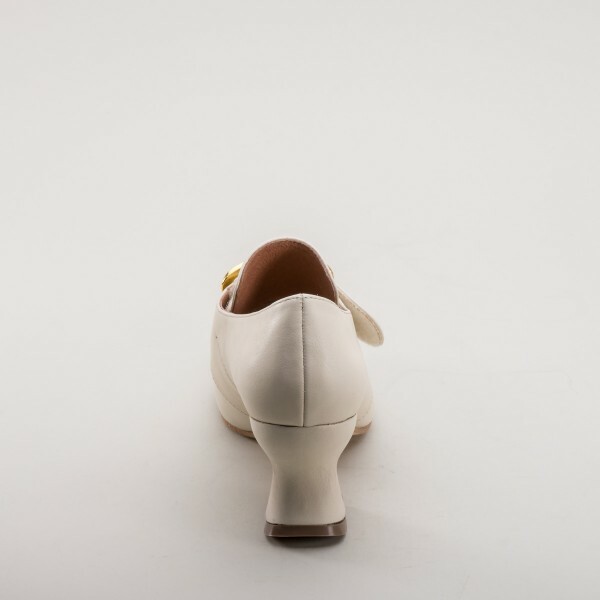 For outdoor use, we highly recommend treating the soles regularly with mink oil. 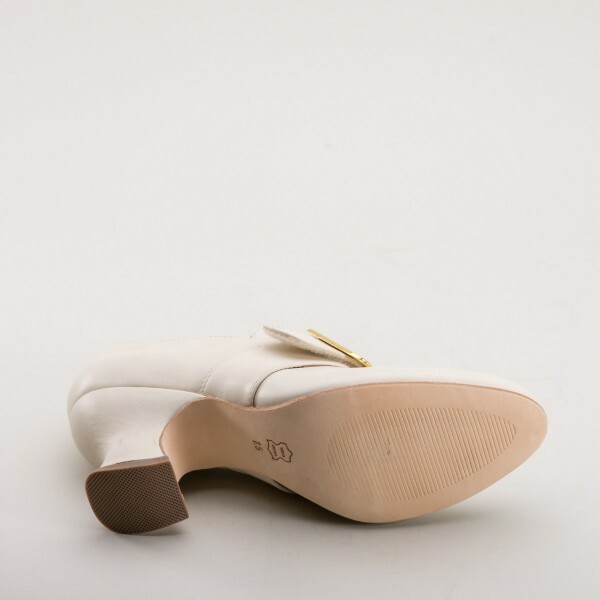 For winter wear, it is advised to have a rubber half sole applied at a shoe repair shop. Runs true to size for most customers - for a tight DANCE fitting, we recommend trying a half size smaller.